This book introduces nurses and other health care professionals to the law relating to the practice of nursing and includes specialist chapters on paediatrics, ITU and many other areas. They are vividly illustrated with situations based on everyday nursing practice. Cases explore the legal issues that arise and more. 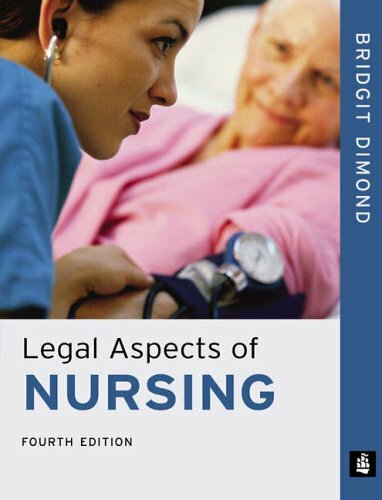 "Legal Aspects of Nursing" is a highly successful and well respected text which introduces nurses and other health care professionals to the law via everyday nursing situations of legal consequence and includes specialist chapters on paediatrics, ITU and many other areas. Specifically written with the non-lawyer in mind, the book takes a practical approach via fictional 'Situation' boxes which expertly highlight the relevance of the law to health care professionals' daily work. Relevant cases are also highlighted in this way. Suitable for degree, diploma and masters courses in nursing and related areas.